One day I decided to make my own chips and I was glad I did. These turned out to be our favorite little chips for homemade dips. 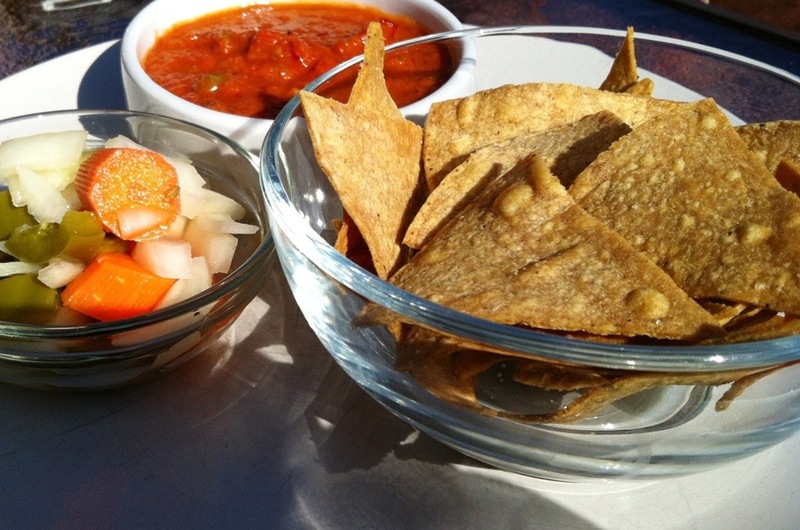 Cut corn tortillas in 8 triangle pieces using a knife or kitchen scissors. Heat oven to 350 Degrees and prepare baking sheets with wax paper or parchment paper and lightly sprayed with cooking oil. 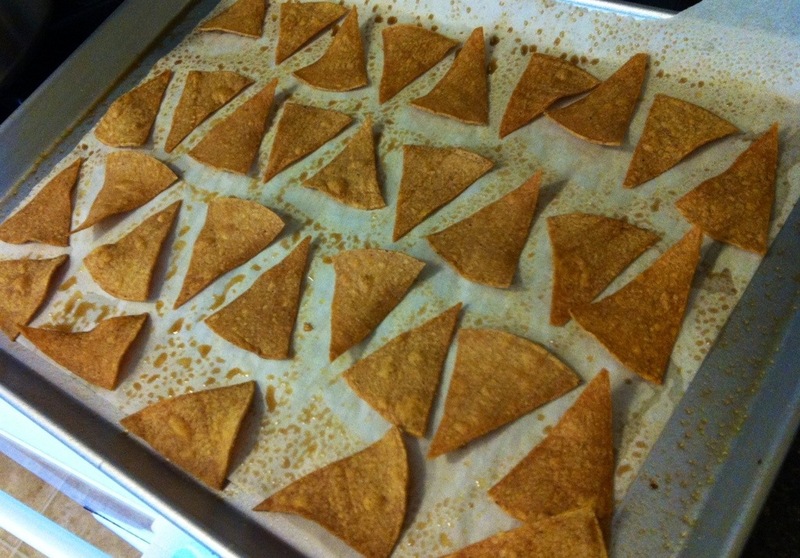 Arrange the chips and bake for 15-20 minutes. We like them a little more crispy, so 20 usually works.